WorldMate presenting at the GSMA Mobile Innovation Global Competition 2009, Held in Israel at Sept. 2008. 22nd September 2008, Herzelia, Israel: The GSMA, the global trade group for the mobile industry, announced the overall winner of the ‘virtual’ online round of its 2009 Mobile Innovation Global Competition. Winners were named in each of five categories, from which InfoGin was selected as the overall winner and put forward to compete in the Global Finals at the Mobile World Congress in Barcelona, next February (16-19 February 2009). The GSMA engaged with Carmel Ventures, a leading VC fund in Israel, Google, Microsoft R&D Center, Pitango Venture Capital, Sequoia Capital, Orange Israel, Amdocs, Israel Mobile & Communications Association, AICC, and TheMarker, the leading business website and newspaper in Israel, to present a truly virtual round of the tournament. The tournament was held in Israel at the Microsoft R&D Center and communicated virtually with judges, speakers and innovators from all corner of the globe and then broadcast via LiveU streaming technology online. The tournament resulted in the selection of the most innovative start-up company to compete with other regional finalists (selected at the GSMA’s Americas, APAC and EMEA tournaments) at the mobile industry’s biggest annual event in Barcelona. Why do banks charge a fee on ‘insufficient funds’ when they know there is not enough? Whose idea was it to put an ‘S’ in the word ‘lisp’? Why is it that people say they ‘slept like a baby’ when babies wake up every two hours? Are there specially reserved parking spaces for ‘able bodied’ people at the Special Olympics? If the temperature is zero outside today and it’s going to be twice as cold tomorrow, how cold will it be? 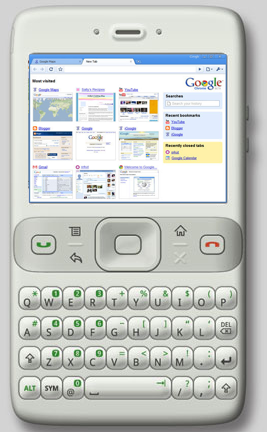 Google indicated that the Android phone browser will include much of Chrome’s inner workings. The browser name will be changed to reflect its relation to Google’s Chrome browser. Symbian has released data for the first half of the year and the second quarter of 2008 that shows it has met the iPhone challenge and is still on top. That’s what happens when you have 159 devices shipping with your operating system and are a mainstay OS for Nokia, which has captured 39.5 percent of the handset market. Who Is Upsetting The World? A Catholic priest, a Protestant minister, and a rabbi are discussing what they would like people to say after they die and their bodies are on display in open caskets.